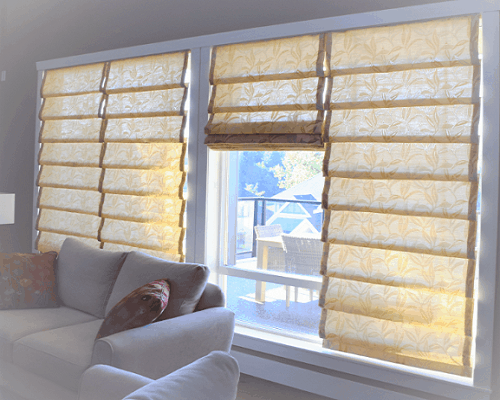 Roman Shades – Sunrise Window Fashions Ltd.
Our Roman Shades are a modern twist on the class and grace of drapes. With their elegant folds cascading down the window, Roman Shades promise to transform your room. The soft look of the shade and the exquisite fabrics make this collection a brilliant decorating tool. When raised, the shade gracefully folds into itself, framing your outdoor view. 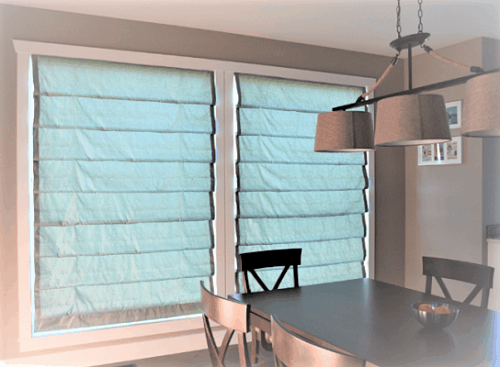 When lowered, the shade will block UV-Rays and heat, whether you light filtering, room darkening, or blackout fabric. Enjoy browsing through our vast array of beautiful fabrics within our sample books to accomplish your vision.